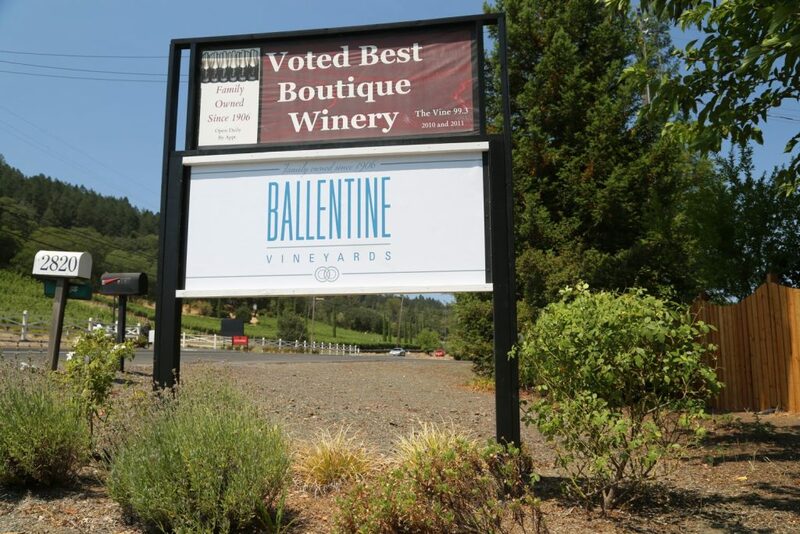 Ballentine Vineyards is located directly across from Faust Winery (previously St. Clement Winery). As you drive by on the highway you can only see their sign from the northbound direction; there is no signage when you drive southbound. During prior visits, we have seen bumper stickers in their tasting room that say “Where the Hell is Ballentine Vineyards”! 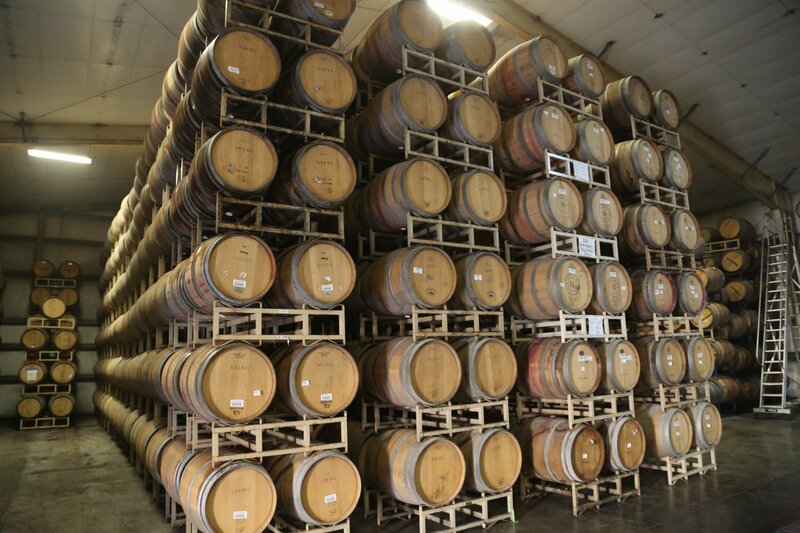 The answer to that question is simply, just north of the town of St. Helena. 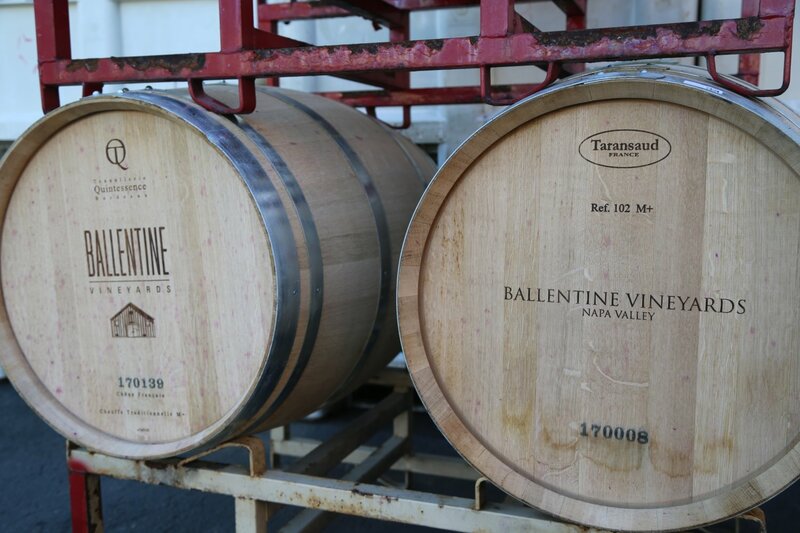 The winery was founded by Van and Betty Ballentine – today their son Frank Ballentine is the General Manager. 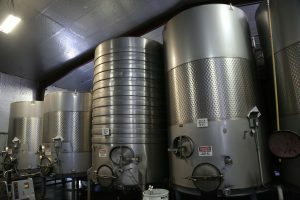 Today there are numerous small family owned wineries in the Napa Valley, but only a few wine making family’s in the Napa Valley have as old or as rich of a heritage (on both sides of the family). 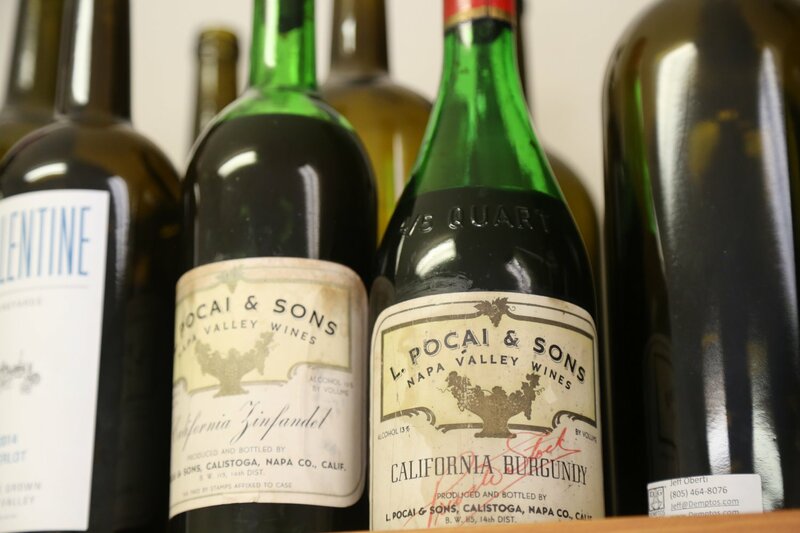 Their history dates back to 1906 when Betty’s grandfather, Libero Pocai, an immigrant from Lucca, Italy purchased 60 acres of land in the Napa Valley and six years later founded a winery called L. Pocai & Sons Winery and Vineyards. 1906 was also the year of the terrible earthquake in San Francisco – and was the primary reason why he and his wife moved out of the city. 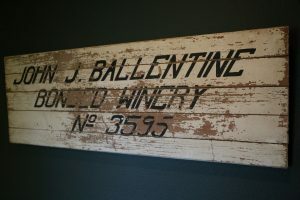 Van’s father John Ballentine moved to the Napa Valley in 1922 and in a gusty move (considering this was early prohibition years) purchased 160 acres and a winery in the hills of what is now known as the community of Deer Park. 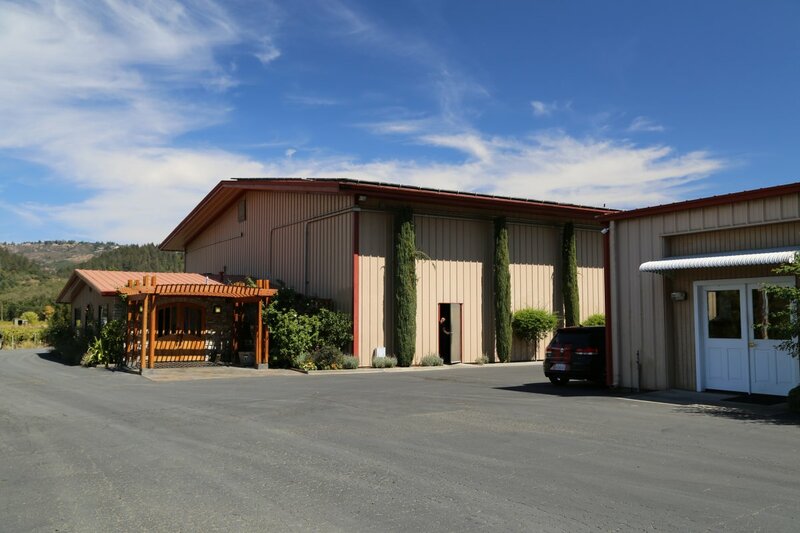 This site was the original home of John Sutter Wine Company (later founded as Sutter Home Winery by the Trinchero Family at their current location in the southern part of St. Helena). Today Bremer Family Winery operates on the old John Sutter Wine Company property. 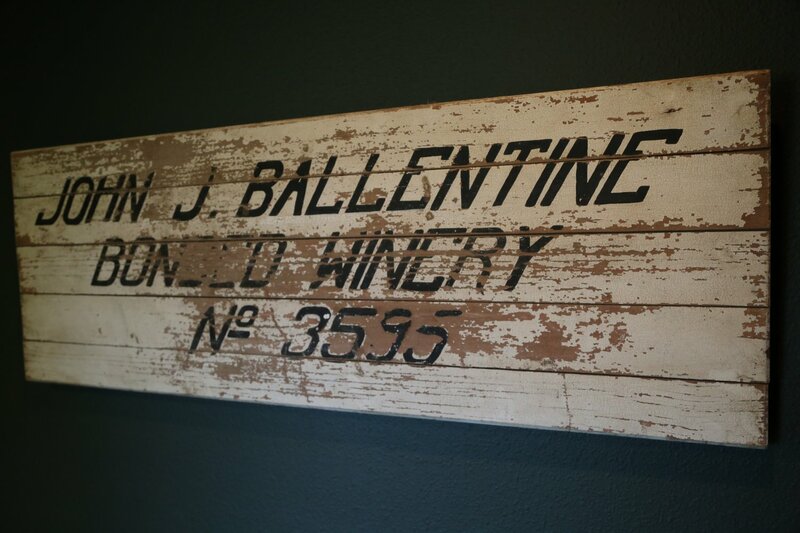 And if you ever wondered how Deer Park got its name (no, it wasn’t named for the deer that used to and still sometimes roam the hillsides), rather John Ballentine named it after his family farm in Ireland. Van and Betty have grown up in agriculture and in or among the wine business for all of their lives. 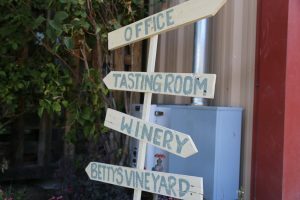 Betty used to work at Charles Krug for a time and Van was the vineyard manager for the old Christian Brothers Winery and their affiliated properties in the late 1950’s and 1960’s. 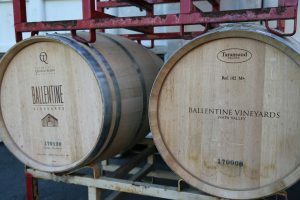 And their other son Bill Ballentine owns the prestigious and very tiny production William Cole Winery – almost on the other side of the highway from Ballentine Vineyards. 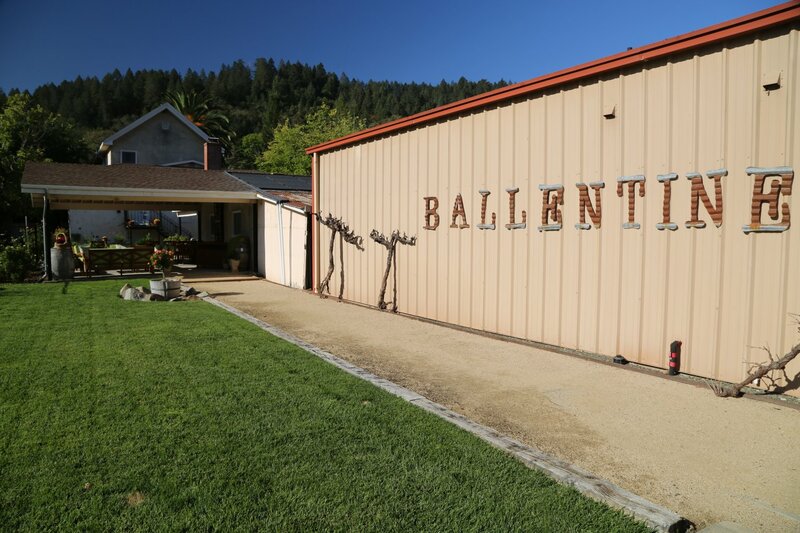 Before starting their own winery, the Ballentines sold grapes to many premium area wineries including Caymus, Robert Mondavi and Rombauer. Fast forward some 30+ years since John Ballentine bottled his last bottle of wine; Van and Betty decided to make their own wine in 1992, they made their wine at another winery for a few years until they built their own winery in 1995 (just south of their vineyard home). 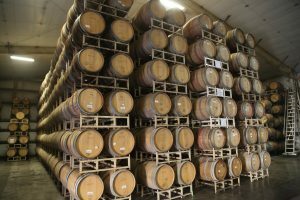 A sizable barrel room is on site – and his home to not only their own wines but to also a number of mostly small premium custom crush clients. 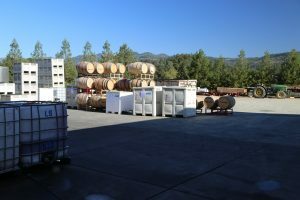 While their production at their high point was around 15,000 cases, today they are much smaller focusing on direct to consumer sales – mostly through the tasting room on site. At our last update they are producing around 5,000 cases annually. All grapes come from three long time family owned properties (they still sell grapes to various wineries). The longest under family ownership is the Pocai Vineyard (purchased by Betty’s grandfather in 1906) in exchange for gold coins. 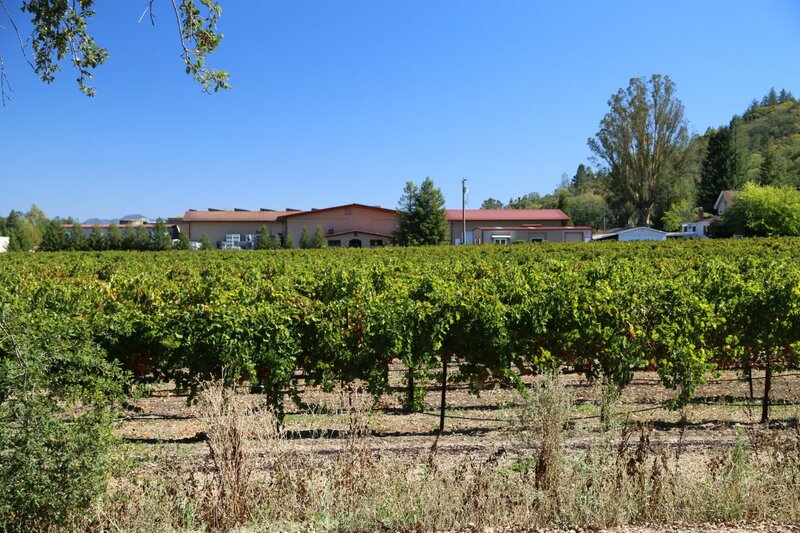 This vineyard is quite historical – located next to one of Napa’s iconic vineyards, the Three Palms Vineyard (originally owned by Lillie Hitchock Coit – the namesake of San Francisco’s Coit Tower). 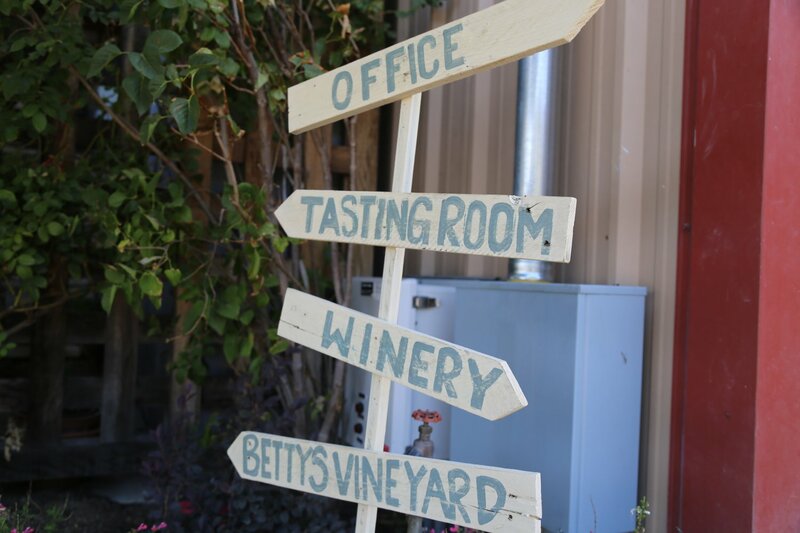 The second oldest owned vineyards is Betty’s Vineyard (the property next to the winery) which was purchased in 1944 by Van and his father John. 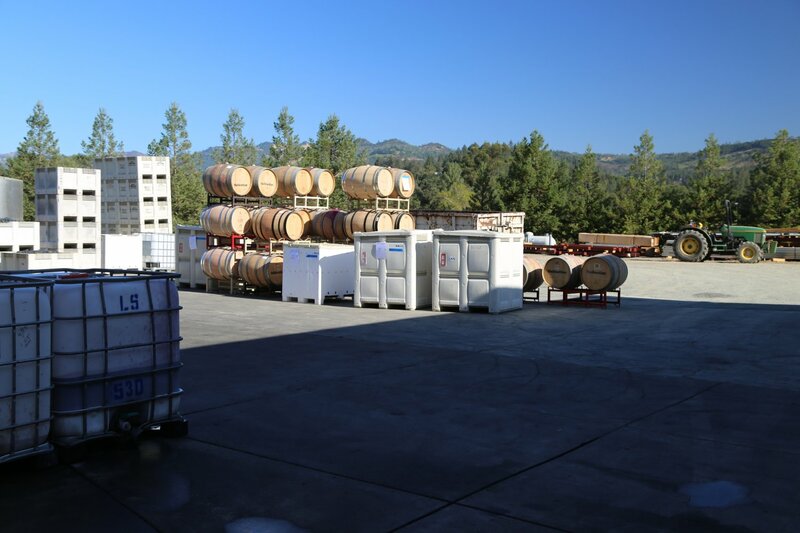 Today the vineyard is planted to a number of varietals including Merlot and Syrah and what are now extremely rare white varietals in the Napa Valley, Chenin Blanc and Malvasia Bianca. And their ‘newest’ vineyard, the Fig Tree Vineyard was purchased in 1949 and is located on the northeastern edge of the St. Helena appellation. 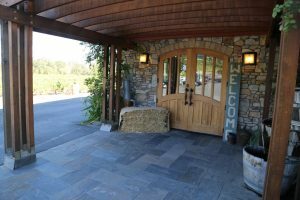 The vineyard takes it’s name from two fig trees on site given to the family from a friend who brought them back from Italy. 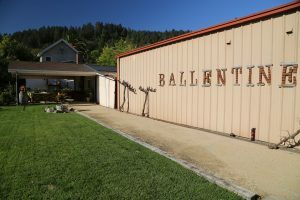 Ballentine has earned a good reputation for Chenin Blanc, a varietal not often found at Napa wineries. This wine is made without any residual sugar; the 2007 vintage has excellent aromatics with some stone fruit flavors including peach and just a touch of vanilla on the finish. 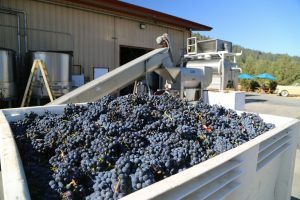 However their focus is on red wines and they make excellent Zinfandels (several Zinfandel versions are made from separate blocks in their vineyards), and Syrahs. In fact they have a number of varietals available for tasting including 100% Cabernet Franc and 100% Petit Verdot which in the Napa Valley, are varietals not often made as stand alone wines. 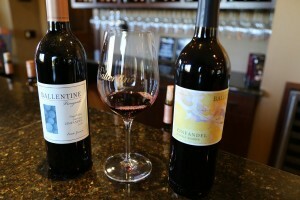 We also really enjoyed their Zinfandel Port-style wine. 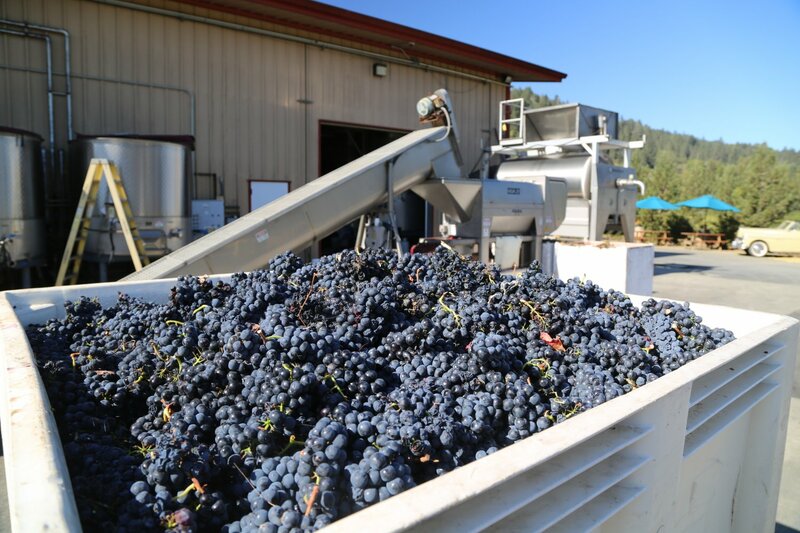 Its not overly rich or viscous or syrupy sweet like some of the Zinfandel ports we have tried. 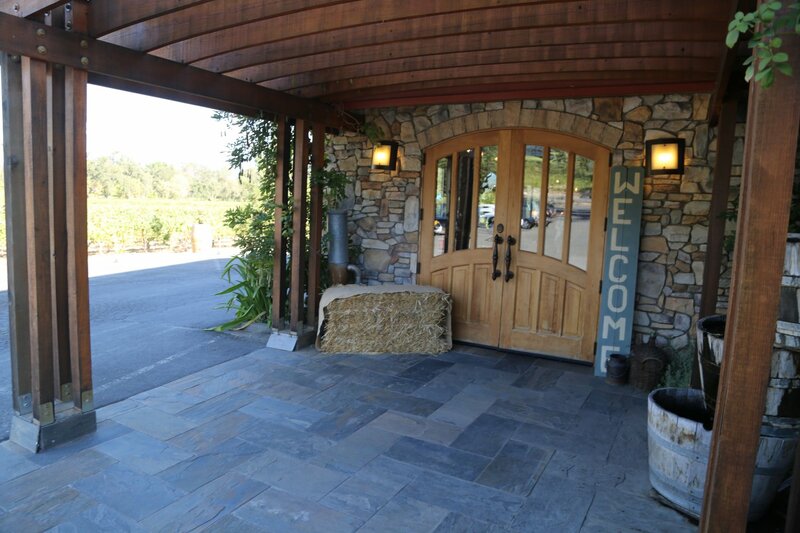 Visitors seek out this winery when you are ready to try wines other than Cabernet Sauvignon as during one of our visits, of 13 of the wines available for tasting, only one was a Cabernet Sauvignon. In addition they continue to over deliver on quality for the price point. 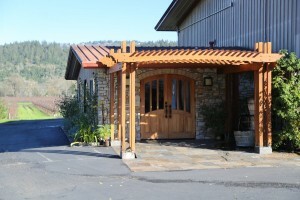 Visitor’s to the tasting room can choose from a variety of experiences including a general tasting of their current releases, a reserve tasting focusing on their single vineyard and more limited production wines, a tour including highlights of their fascinating history in the valley and a tasting (including a barrel sample), and weather permitting – wine pairings with small bites out on their patio. 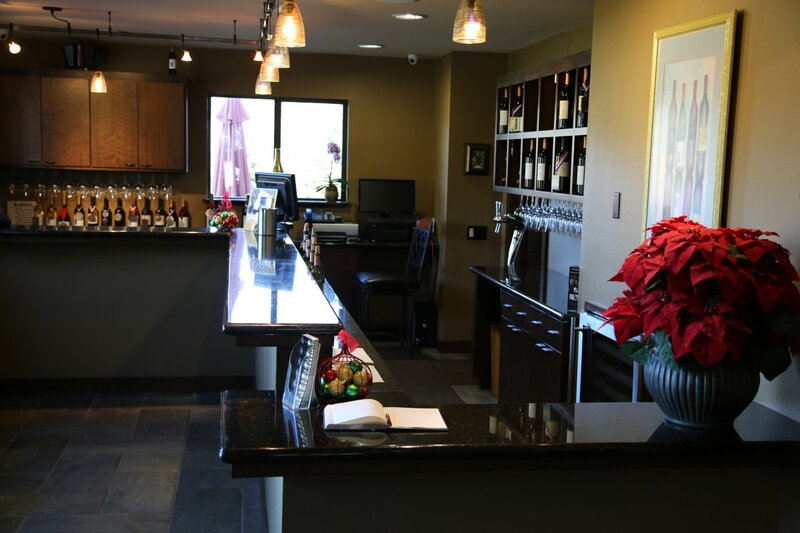 The tasting room is small, feels informal and is all about the wine – no gift shops or loud music here. A tiny lab is even located near the actual tasting counter. Note that the tasting room can fill up fast if a group or tour van stops by.